Please don’t miss out as Jordan will be on leave for the second half of December. We cant stress enough the importance of booking in advance! We will also require a $75 deposit when booking with Jordan, so please have your credit card handy. This is redeemable on treatment and is only used to secure your appointment. We will send a confirmation text 2 days prior to your appointment and it is important that you respond before 5pm that day. If you do not respond or respond after 5pm your appointment may have already be filled and it is up to you to re-schedule. Any cancellations with less than 48 hours notice will result in your deposit being forfeited. 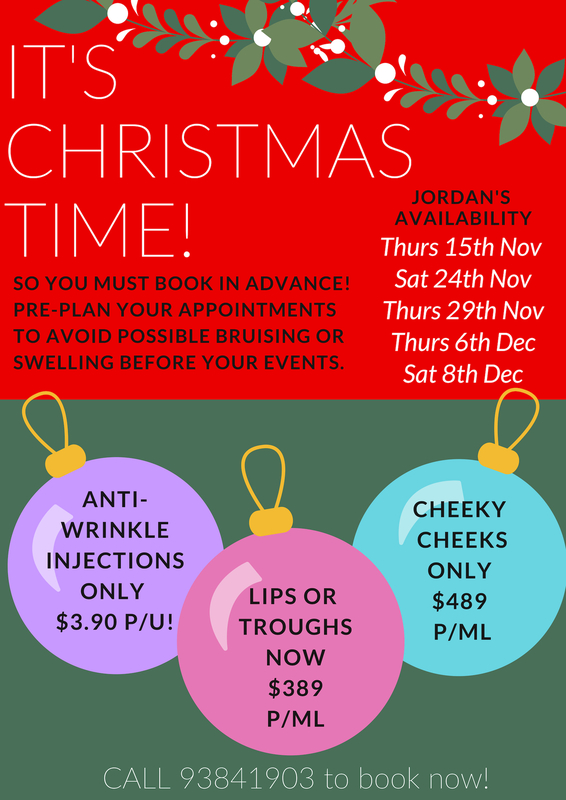 We are very grateful to be so busy but we need to implement strict rules so appointments run smoothly for Jordan and she is able to service all her wonderful clients for the holiday season.